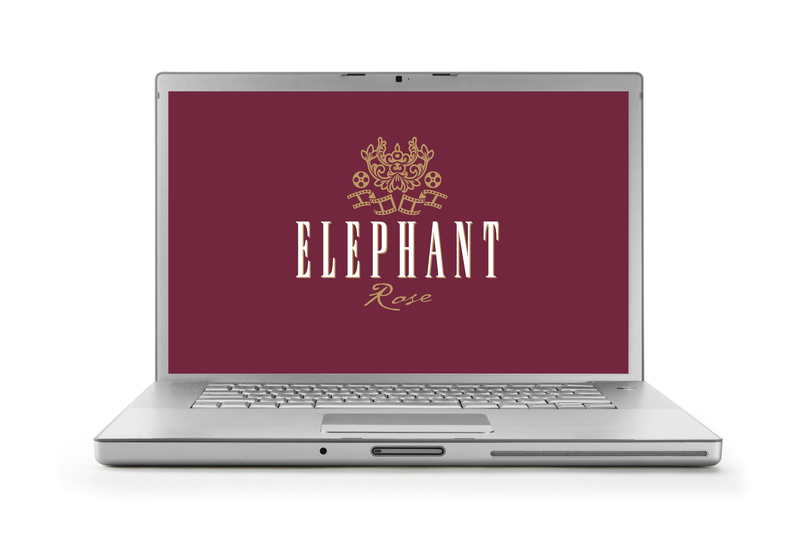 In July 2011 JWDC launched the new Visual Identity for Elephant Rose, a company specialising in bespoke film production for private commission. Founded in April 2009 by documentary filmmaker Richard Nicholls (BAFTA-nominated) and network television presenter Rachel Pierman, the company has already been commissioned to film a celebrity wedding and celebration of life testimonial. Expansion of the business demanded the need for a striking new Brand Name and Visual Identity which will adorn a carefully co-ordinated marketing strategy throughout 2011/2012, developed jointly between JWDC and Elephant Rose. Inspired by the French for Pink Elephant – for no other reason than if you encountered one you wouldn’t forget it – Elephant Rose (pronounced in the best Gallic accent we could muster) was born and the client loved it!